Just like a poll or "Life Event," lists will appear to users in a completely unique way, and they offer plenty of customizability with regards to style. 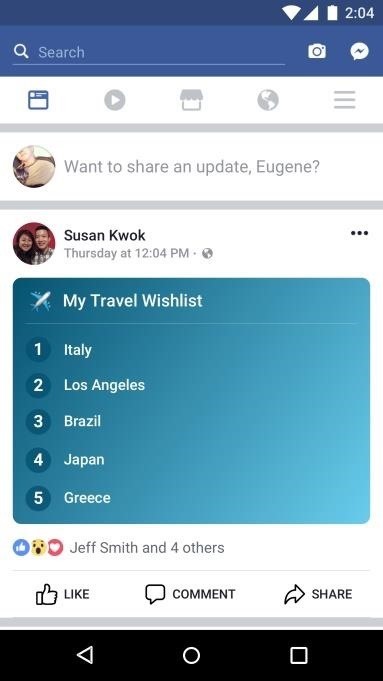 You can have them appear like a checklist, or even a travel wishlist complete with an airplane icon. While this update won't turn all of Facebook on its head, it's a welcome feature that should regularly find a home in the arsenal of frequent posters. At the time of this writing, the lists feature still hasn't gone live for everyone. So far, it looks like it will be Android-only for a little while, then iPhone users should get the feature shortly after that. But even the Android version is on a staged rollout, meaning that not all users will receive the update immediately. 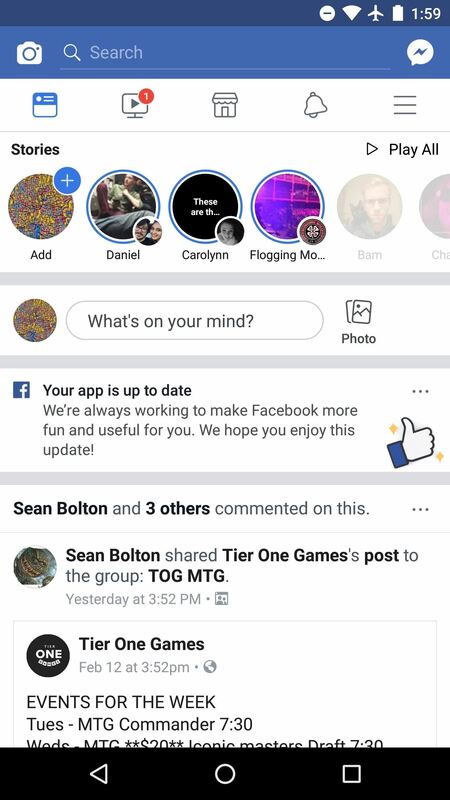 Bottom line, you'll need to be running the latest version of the Facebook app to try this out, so grab it for Android here and for iOS here. 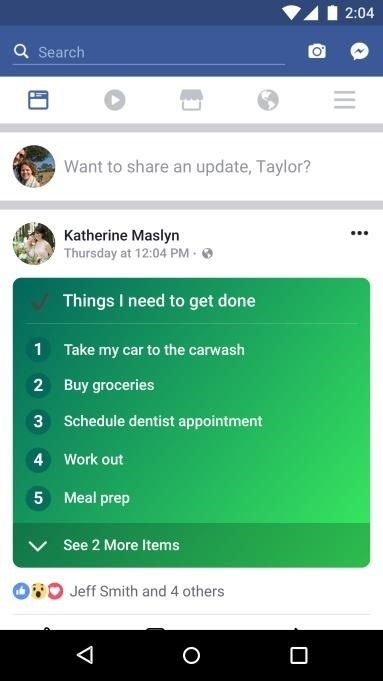 If you don't see the options outlined below, keep checking back, as the staged rollout appears to be on the server side of things, so Facebook could enable the feature on your account at any time (provided you're using the latest version of the Facebook app). 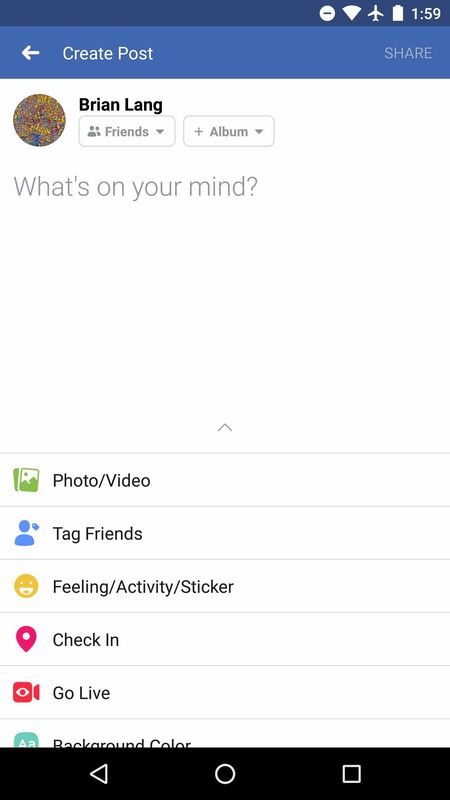 To post a list as your status update, first you need to tap the box that says "What's on your mind?" from the Facebook app's main menu. Along the bottom of the screen, you'll see options like "Photo/Video," "Tag Friends," and others. If you don't see these options, tap "Add to your post" to expand the menu. Select "Lists" from here. Now fill out your list however you'd like and customize it to your heart's desire. After you're done editing it, tap "Share" in the top-right corner to post it. How do you feel about this change to status updates? What lists do you plan on posting? Let us know in the comments below.